The present study examined the muscle–tendon interaction of ten international level Kenyan runners. 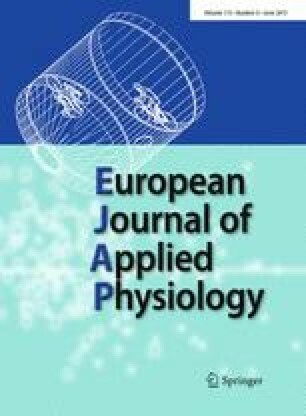 Ultrasonography and kinematics were applied together with EMG recordings of lower limb muscles during repetitive hopping performed at maximal level. The ten Kenyans had longer gastro Achilles tendon at rest (p < 0.01) as compared with ten control subjects matched in height. Conversely, the stretching and shortening amplitudes of the tendinous tissues of the medial gastrocnemius (MG) muscle were significantly smaller in the Kenyans than in controls during the contact phase of hopping. This applied also to the fascicle length changes, which were smaller and more homogeneous among Kenyans. These limited musculo-tendinous changes resulted in higher maximal hopping height and in larger power despite their reduced body weight. The associated finding of a greater shortening to stretching ratio of the MG tendinous tissues during contact could imply that the Kenyan MG muscle–tendon unit is optimized to favor efficient storage and recoil of elastic energy, while operating at optimal muscle fascicle working range (plateau region). This work was supported by MEXT/JSPS KAKENHI Grant Number 23700756 and 23500729.